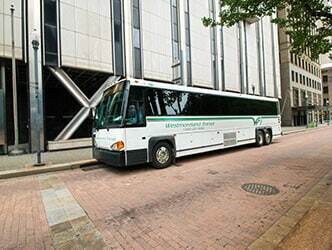 The Westmoreland County Transit Authority was formed by the county commissioners in 1978 to combine service that was being provided by a number of private bus companies throughout the county. The original Westmoreland Transit office was located in the Westmoreland County courthouse and was managed by the Planning Department. Later, the Authority moved its office to North Main Street. In 1992, the current office and Transit Center located at 41 Bell Way was opened. 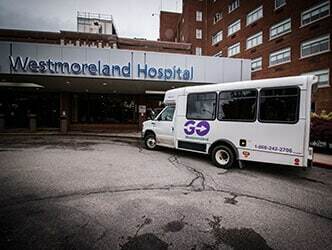 ​Westmoreland Transit currently owns and oversees the operation of a fleet of 41 buses ranging from small 28 passenger buses to 45-foot deluxe road coaches. 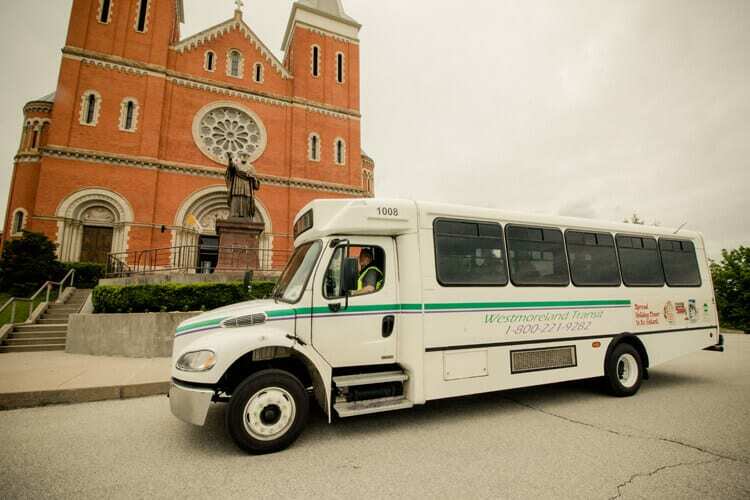 The Westmoreland County Transit Authority has established a Disadvantaged Business Enterprise (DBE) Program in accordance with regulations of the U.S. Department of Transportation (DOT), 49 CFR Part 26. The Westmoreland County Transit Authority has received Federal financial assistance from the Department of Transportation, and as a condition of receiving this assistance, the Westmoreland County Transit Authority has signed an assurance that it will comply with 49 CFR Part 26. 6. To assist the development of firms that can compete successfully in the marketplace outside the DBE Program. Alan Blahovec, Executive Director has been delegated as the DBE Liaison Officer and is responsible for implementing all aspects of the DBE Program. Implementation of the DBE Program is afforded the same priority as compliance with all other legal obligations incurred by the Westmoreland County Transit Authority in its financial assistance agreements with the Department of Transportation. The Westmoreland County Transit Authority has established a Disadvantaged Business Enterprise (DBE) Program in accordance with regulations of the U.S. Department of Transportation (DOT), 49 CFR Part 26. For purposes of this DBE Program, the WCTA proposes to set its overall goal utilizing all available information, including evidence available in the WCTA's jurisdiction and information received from the public in response to this notice. The Westmoreland County Transit Authority proposes a goal of 0.4% DBE participation in DOT-assisted contracts for the October 1, 2015-September 30, 2018 period. This proposed goal and its rationale is available for public inspection during regular business hours Monday through Friday, 8:30 a.m. to 5:00 p.m. at the WCTA's office, 41 Bell Way, Greensburg, PA 15601 for 30 days beginning October 1, 2015. The WCTA and DOT will accept comments on the goal for 45 days from the date of this notice. The WCTA's FFY 2016-2018 goal may be adjusted by any comments received.